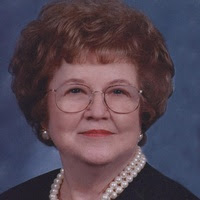 Patsy A. Rex, 83, of Commerce passed away on Sunday, November 25, 2018 in Greenville, TX. preceded her in death on April 9, 2012. Hobday, and Conor Hobday; and one brother Robert Daniel. husband Dale, and a son Jimmy Rex. Visitation will occur one hour prior to the service at 1:00 p.m.
Cole, and Jerry Davies serving as pallbearers.